I had this game but have no recollection how it was played. 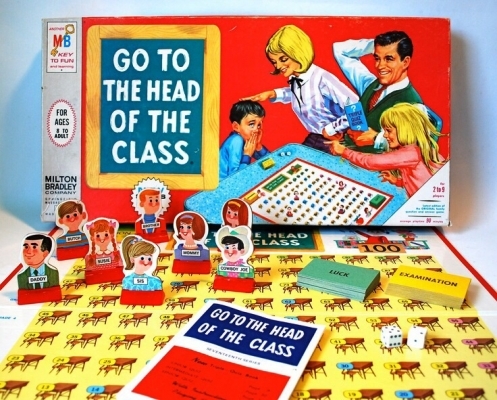 Loved playing "Go to the Head of the Class"! My first exposure to a formalized trivia game (that is, outside of the ones we made up for ourselves on long road trips). Nice memories playing this one. Just seeing that box cover again. Been so many years..